We provide a one stop solution for all your music production needs providing solutions from music composition, arrangement, recording, editing, mixing and mastering. Not only that, we provide music and audio for games, jingles,films and advertising media. Our expertise extends beyond being in the studio. SoundFarm specializes in recording small to large scale music concerts in stereo and 5.1. Our equipment are portable and can be fitted in any venue or concert hall. 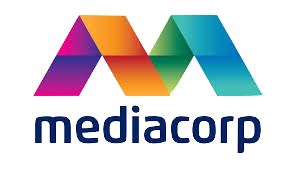 Some of our clients include MTV Asia & TV3 Malaysia. The SoundFarm team are trained in music for broadcast applications such as music mixing for live television programs. Our work includes mixing for The Final 1 Singapore, on-site recording and equipment supply for Asia's Got Talent and many more. At SoundFarm, we believe professional music production should be both good and affordable. Our aim to provide music hopefuls, bands and talents value for their money. Our team consists of two individuals with different niche areas in the music production workflow. Together, we provide a comprehensive, uninterrupted music production workflow for our clients' production needs. A graduate from New York University's Clive Davis Institute of Recorded Music, Reuben is the chief engineer at SoundFarm. His work in the United States involves working with renowned producers and engineers such as Dave Tozer (John Legend, Pixxie Lott), Jim Anderson (Gonzalo Rubaclaba) and Bob Power (Chakka Kahn, A Tribe Called Quest). Reuben's expertise is in recording and mixing and is one of the upcoming mix engineers in Singapore today. Mandric is the in-house arranger and composer at SoundFarm. With a degree in Contemporary Writing & Composition from the renowned Berklee College of Music, Mandric has been involved in producing and arranging for a various of local, national and international acts such as National Day Parade & The Youth Olympic Games 2010. Mandric is also a mean Pro Tools operator as well. Thank you for dropping us a line! We'll get back to you soon.